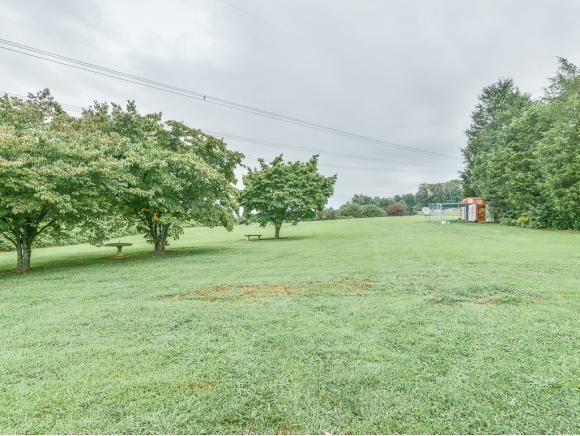 242 Harmony Acres Drive, West, Jonesborough, TN 37659 (MLS #418868) :: Highlands Realty, Inc. SELLER IS OFFERING $4,000 TOWARD BUYER'S CLOSING COSTS WITH ACCEPTABLE OFFER. 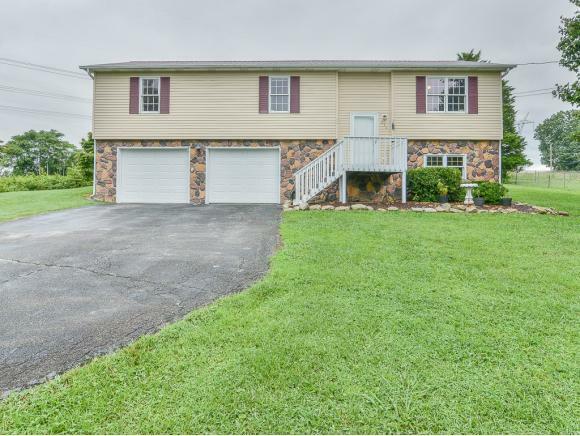 If you're looking for peaceful country life near all the conveniences of the Tri-Cities, this is it. 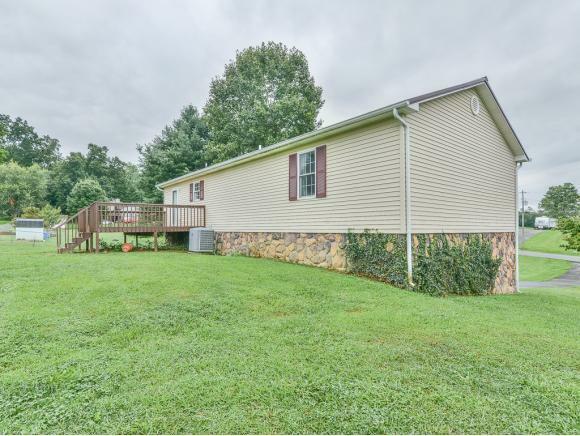 This is a 3 BR / 2 BA split level home on 2.6 acres in a peaceful, quiet part of Washington County in Harmony Acres. The acreage is level with 1.2 acres cleared for the home and 1.4 acres as a natural privacy lot. THE 1.4 ACRE LOT IS VALUED AT $30,000 AND IS INCLUDED IN THIS SALE TO MAKEUP THE 2.6 ACRES AND GIVE YOU PRIVACY OF HAVING THE EXTRA LOT. 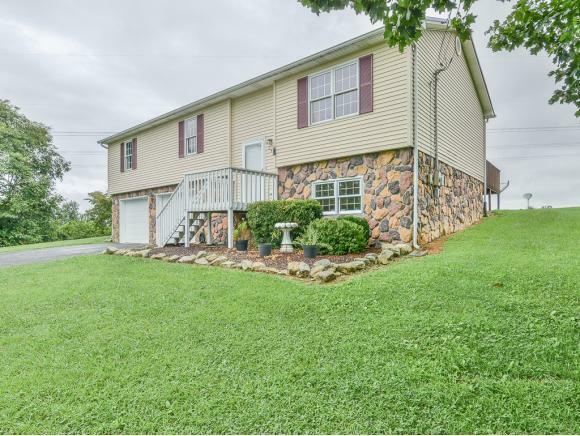 The metal roof is newer, new stove and dishwasher, new tile in master bathroom, beautiful hardwood floors on main level, kitchen has pretty ceramic tile. There are linen closets and large closets in the bedrooms. The downstairs has a large laundry room and family room. The family room has built-in shelves and laminate floors. There is also a two-car drive under garage with NEW garage doors. There is a large newly stained deck out back for entertaining or relaxing, while looking out on all of your peaceful, quiet property. The views are beautiful. There are mature dogwood trees all around for Spring beauty. There is an ADT wireless alarm system, not currently activated and there is cable already wired throughout the house. There are gas logs in the fireplace. You only need to get a propane tank and hook them up to use. (The road along the back of the property is the property line.) The living/dining/kitchen area is perfect for family gatherings. This is the location for which you have been searching quiet and peaceful. You are only 4.5 miles from I-26. Buyer/Buyers Agent to verify all information. Listing provided courtesy of Pamela Pope of Park Hill Realty Group Llc.